Newly crowned 2016 World Champion Tyler Wright (AUS) has just won the Maui Women's Pro, the tenth and final stop on the 2016 Samsung Galaxy World Surf League (WSL) Women’s Championship Tour (CT). 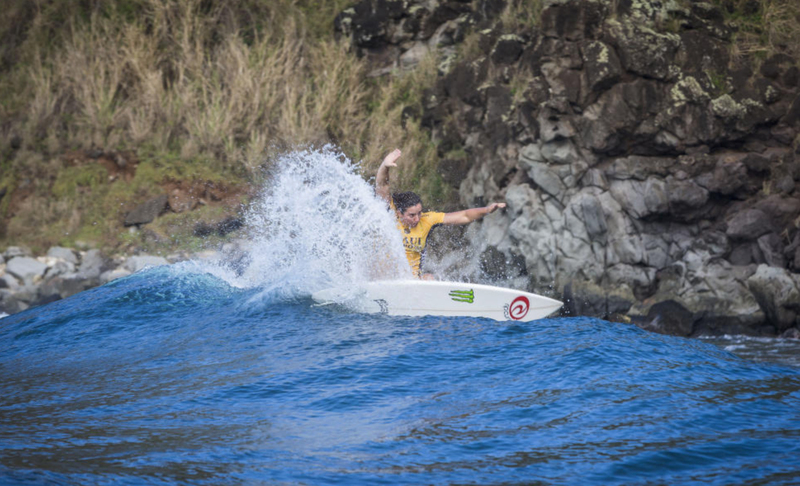 This is the fifth event Tyler has claimed victory to this season (with CT wins on the Gold Coast, Margaret River, Rio, Trestles and now Maui) – an astounding track record, culminating in an absolutely unbelievable year. Today is also Tyler's best-ever result at Honolua Bay. It wasn’t an easy final, however, with tricky conditions and long lulls to contend with. “I was watching the ocean and I really thought that something was on its way,” Tyler said, post-win. “Once I’m on the wave, I’ve never had a problem but working with Micro (Glenn Hall) has really helped put me in the right spot and allow me to make the most of the opportunities that come my way. “This event allowed me to get a block of work done to get ready for next season,” she continued. “With the title done and dusted we were able to work on some other things which is great. Now I’ll go home, have a break and spend some time with friends and family. It’s honestly incredible, and it’s been a fantastic year. Thanks to everyone who’s put in the extra effort for me - my crew and everyone at home. Congratulations Tyler Wright – what a stunning conclusion to a year unlike any other. See you back in the jersey in 2017, World Champion!